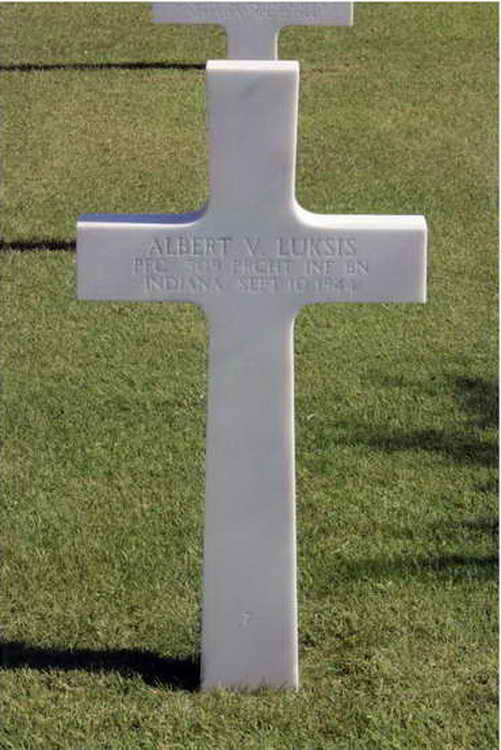 Headstone and interment record for Albert V. Luksis in Plot B, Row 3, Grave 7 of the Rhone American Cemetery and Memorial, Draguignan, Departement du Var, Provence-Alpes-Côte d'Azur, France. Albert enlisted in the Army at Indianapolis, IN on 7 October 1942 Pvt Luksis was assigned to Company C, 508th PIR and appears in the company montage photo group taken at Camp Mackall ca. April 1943. 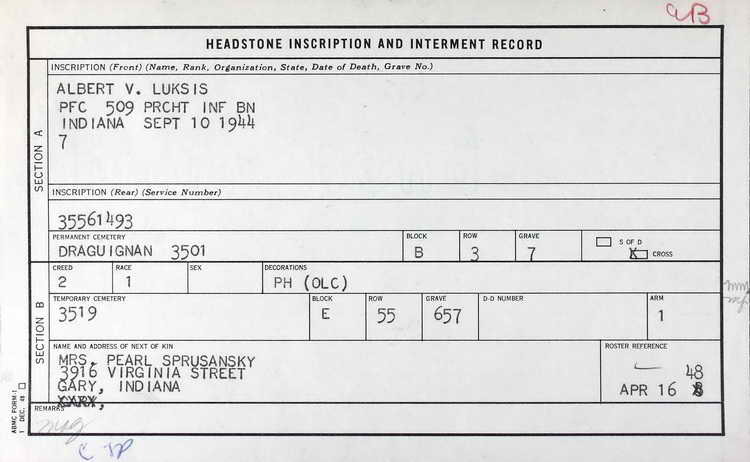 On 13 May 1943 Pvt Luksis was transferred to the Zone of Interior Replacement Depot Shenango, PA.
Pfc Luksis is listed as having died on 10 September 1944 while serving with the 509th PIB. Hus military decorations include the Purple Heart with 1 Oak Leaf Cluster.